Larry's a bit of a dark horse as stick insects go! He's 12 years old and happily living halfway up a tree with the other families of bugs and insects. He likes his school, but he needs to win the day over a big bully called Marv and win the attention of pretty Miranda. A happy tale with a moral, especially for young adults. Loved Larry the Stick Insect! A great story for children and adults alike. Story of triumph over a bully via a dance off is great fun and there are laugh out loud moments. The narration was brilliant as all the characters had their own voice which matched their description. Would highly recommend. 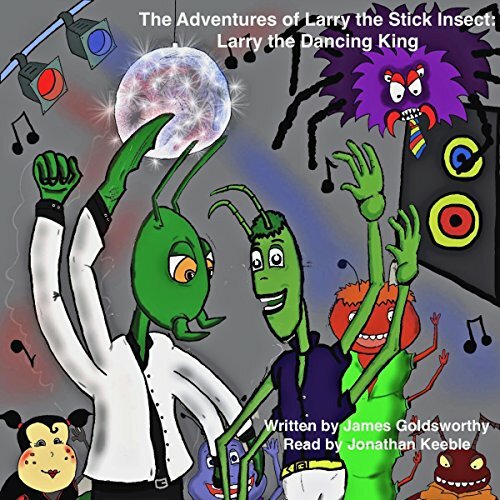 A classic mixture of talking insects, a story that draws you into Larry’s world, gentle humour and a dramatic ending. Kids will love it (as did this adult). This short story is just the right length for pre-teen children and gives nice messages about friendship and coping with bullying. The storyline is great fun and the reader really brings the characters to life. I would recommend it for children of 6 to 11 years of age.